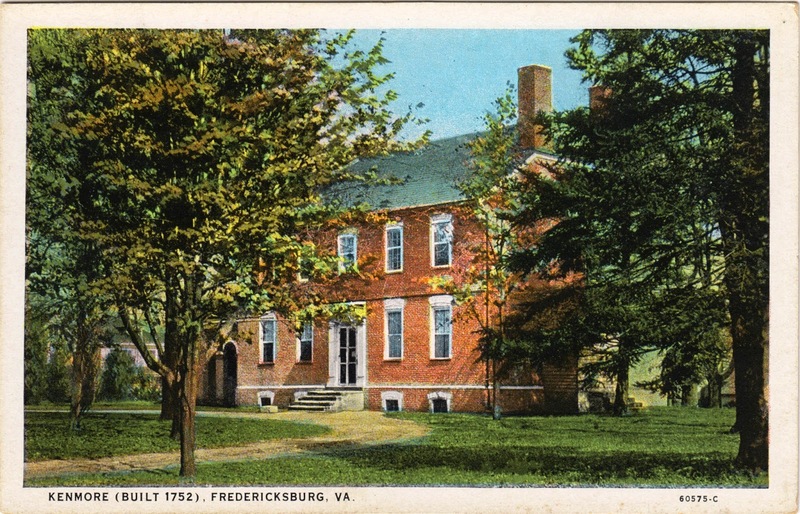 Outgoing postcard US-3208612 to Germany was a vintage card showing Kenmore, a plantation house built in 1752 at Fredericksburg, Virginia. It is a beautiful specimen of colonial architecture with ornamented ceilings and mantels designed by George Washington. It is home of Col. Fielding Lewis and his wife Betty, the only sister of George Washington. George Washington sent two Hessian prisoners to carry out his artistic conception. The house was added to National Register of Historic Places on June 4, 1969, and was declared a National Historic Landmark on April 15, 1970. There are similar cards from the Tichnor Brothers Postcard Collection at Boston Public Library.